What better way to take in the sights then to grab a ride on the Scenic Sky Chair. As the winter thaws, Snow Summit transforms into the most beautiful nature experience. 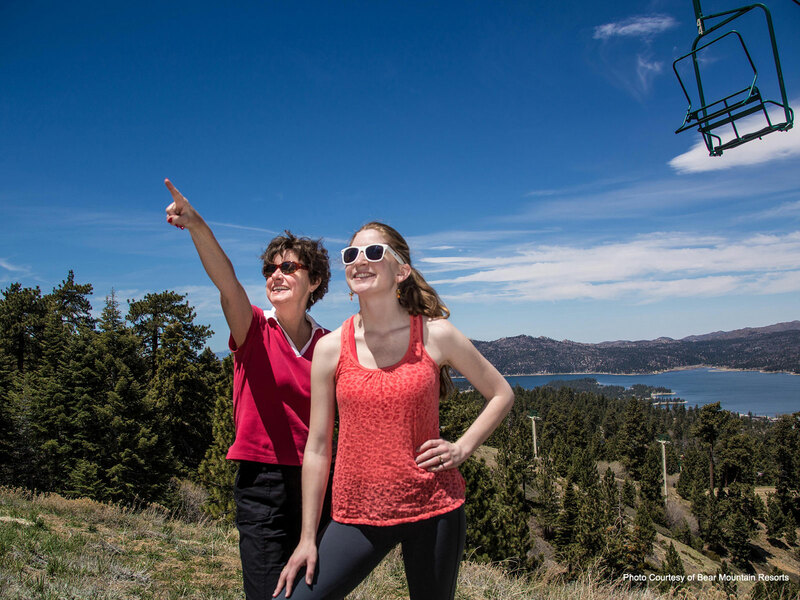 Winter may not be quite over in parts of the US, but in Big Bear the summer activities and events that bring Big Bear mountain resorts to life in the summer start early and stay open till the first snow. You can look forward to the Snow Summit Scenic Sky Chair, golf, hiking, and mountain biking in spring. The Sky Chair is for those fabulous rides to the top of the mountain. Surrounded by breathtaking beauty, the chair takes bikers and as well as hikers to the top. If you want to ride down Miracle Mile or any of the new trails go ahead. You can also walk down safely and enjoy the amazing views. This is a perfect activity for families who want to enjoy all the nature but not do so much work as there is no hike up! Just a great ride. These are Kodak camera moments so you'll want to bring one along with some good sunscreen and water. While Summit boasts the Sky Chair, the sister resort, Bear Mountain has the golf course right at its base. The golf course and driving range open early and the ball definitely flies further at 7,000 so your game gets an instant boost. Range tokens and golf season passes are available at the Pro Shop. Tee times are available by calling the pro shop office. It is a 9 hole beautiful course that overlooks the water. Located at the base of Bear Mountain, the course is in great shape and as there are only 9 holes, it's a quick game leaving plenty of time for family activities. Hiking in Big Bear before the summer rolls around is the single most popular thing to do. Hiking season extends all summer and fall and most trails are open till the snow falls. Come on up and put your hiking shoes on and take a ride on the Summit Sky Chair, play a round of golf, and just get outdoors. You can get great maps and trail guides at the Welcome Center in the middle of the village. There are also maps and guidebooks available when you check in at our lodging offices. They will help you have a wonderful time in Big Bear.